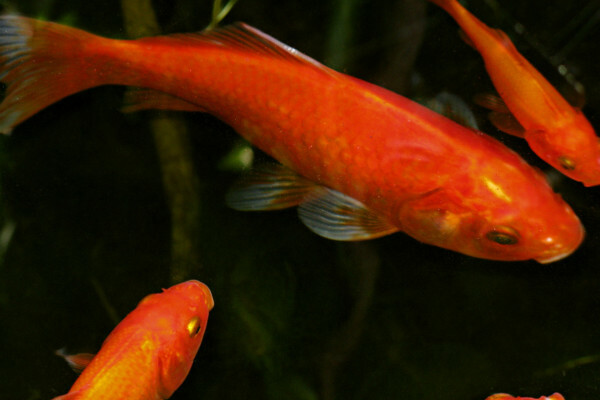 Can I train my goldfish? Eleanor - The answer is yes you can train your goldfish. I had so much fun researching this question. And it turns out that there are How to Train your Goldfish kits available online if anyone does want to train their goldfish. And, even better, I’ve found out that in the 60s, 70s era of animal behaviour, they were using goldfish as a model to understand what effects alcohol might have on learning. So they set up an experiment which they tried to teach the goldfish to go into the darkest part of the tank, and they found that adding alcohol to the tank made them learn better. But, as is the way with some of these studies, it was unclear as to why this was the case. Chris - Well, you know goldfish are quite well adapted to booze because they live in, especially freshwater environments, they live in ponds that freeze over the wintertime. And when they freeze, they run out of oxygen or they’re very low in oxygen so their metabolism shifts towards the same way as yeast. When you grow yeast in the absence of oxygen you get booze with your grape juice. Well, fish actually make their ponds a little bit alcoholic when the wintertime comes and they freeze in. And I interviewed the scientist who discovered this, and I said well could this be a useful way to make alcoholic beverages in the absence of yeast? And he said it would take a very long time. About 20 years for a goldfish in the tank to actually make enough. But that might be one reason why that research failed. Elenore - Yeah. In fact, that’s one of my favourite facts about goldfish that you’ve just come up with. I just love the idea that under stress you start producing ethanol. Can you imagine how much better being stressed would be if that was the case in humans? Chris - Life would improve enormously. Philipe - I was wondering actually, you were mentioning over winter they have to survive for quite a few months I, unfortunately, have never had that much luck with goldfish. They’ve never really survived that long. I was wondering, how long does it actually take to train them? Because mine, on average, I would say about four or five months when I was a child. Does it take longer? Does it take a shorter amount of time? Chris - And how do you train them? Eleanor - The scientific study is in the 60s and 70s, unfortunately, you electrocuted them to train them not to do things. But the nice kits that are available online, it seems to be a bit like clicker training in which they give them food rewards, which sounds a much nicer way of doing it than the 60s and 70s way of giving them electric shocks. Chris - Because that’s a myth. Philipe was talking about myths earlier and people were only using 10 percent of their brain, people say goldfish have a five second memory of something but, actually, they have a really really good memory don’t they? Because people have done research showing that you can train them to find a hole in a net. This is Culum Brown, I think, from Australia. You can train a fish to find a hole in a net by using various visual cues, and then a year later come back and show them the same net and they immediately find the hole, so they’ve remembered. So they clearly do have very good memories. And if you think, fish have to live a long time and find their way over complex navigations and migrations in some cases, so they must have a pretty good memory so they ought to be trainable. Eleanor - Yes, exactly. I think fish often get a bad rap just because we can’t see them. We tend to think about animals like dogs and cats just because we see them all the time; whereas we don’t really see fish so I think they’re often get a bad rap in our ranking of how intelligent animals are. Chris - So, fish are clever. You’d batter believe it. Jess - Can I just temporarily debate that. We put them in tanks so we can look at them all the time! I don’t think we don’t see them. Eleanor. No, no. I’m not saying that we never see fish but I think that, in general, the kind of public awareness... For example, if you think about the ethics of animals, people are very aware of not causing pain to animals. Eleanor - But it was only in the last few years that we proved that fish feel pain. And the fact that that was only discovered like a few years ago is just mind boggling you know. I think it’s perhaps due to the fact that some people are a little bit less connected to fish than perhaps terrestrial animals. Previous Why do bees die when they sting but wasps don't? Next Why do some metals rust faster than others? Do fish really have a 3 second memory?